The Crook County High School dance team, the Sparkles, placed 11th out of 12 schools at the OSAA Class 5A Dance and Drill competition, which was held Friday, March 15 at Veterans Memorial Coliseum in Portland. It was the lowest finish by the Sparkles at a state tournament since 2004 and just the third time in the past 14 years that the team failed to earn a trophy at the event. The Sparkles finished with a score of 68.37 points, far behind tournament champion Pendleton, which finished with a score of 79.98. Lebanon was a close second with a score of 79.30, while South Albany finished third, 78.23, and West Albany fourth, 78.22. Rounding out the scoring in the tournament were Milwaukie, 78.02, Silverton, 77.22, Wilsonville, 73.83, North Eugene, 73.68, Scappoose, 70.22, Thurston, 69.13, Crook County, and Willamette, 66.63. 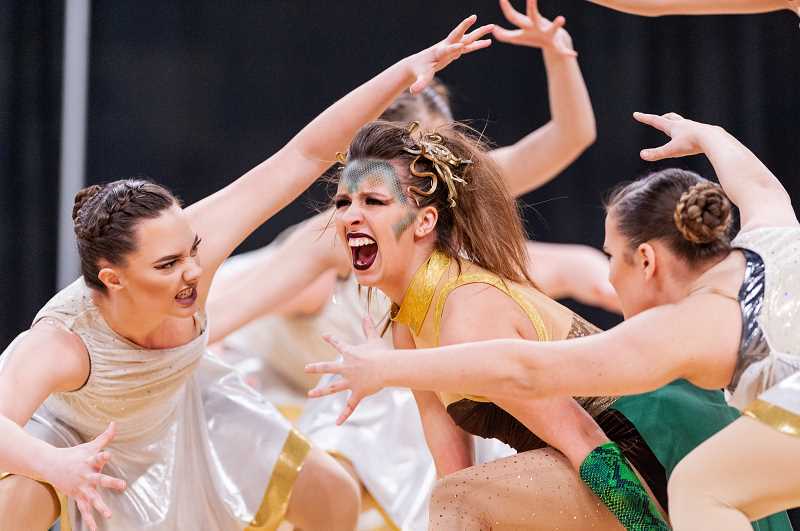 Other state champions were Tigard in Class 6A with a score of 86.63 and Stayton in Class 4A/3A/2A/1A with a score of 91.48, the highest score posted by any team in the state all season. The Sparkles are young and inexperienced this year, and that inexperience showed on the big stage as the team received their lowest score of the season. The team's highest score of the season came on March 2, in the final competition prior to state, as Crook County posted a score of 75.13 to place fifth at the Metro tournament. Pendleton also won that tournament, while Silverton was second, Milwaukie third and Wilsonville fourth.